Lower Sackville Dentures | Nova Dental Associates Inc. Losing teeth can happen all at once or gradually over time, but Nova Dental can help with our dentures. Nova Dental offers both full and partial dentures so if you’ve lost many or just a few of your teeth we can help. Dentures are a set of acrylic teeth that when placed in the mouth function just as normal teeth do. 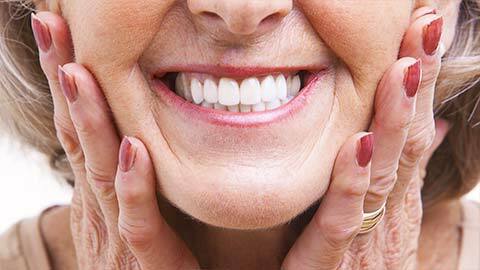 Dentures can make it easier to eat, speak clearly, and smile. Dentures require maintenance like any teeth. Our dentures use the newest techniques to make sure they are as comfortable and easy to use as they can be. Dentures can also be secured with dental implants to stop them from shifting. 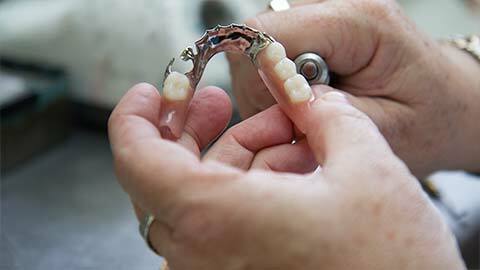 Over time, shifting, unsecured dentures can break down your jawbone, resulting in reducing chewing ability. If you need more information about Dentures in Lower Sackville, contact us today.